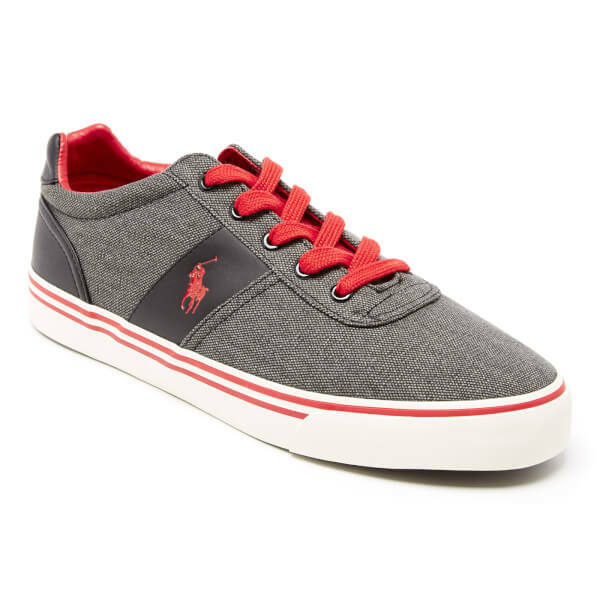 Men’s ‘Hanford’ black cotton canvas trainers with contrast red details from Polo Ralph Lauren. 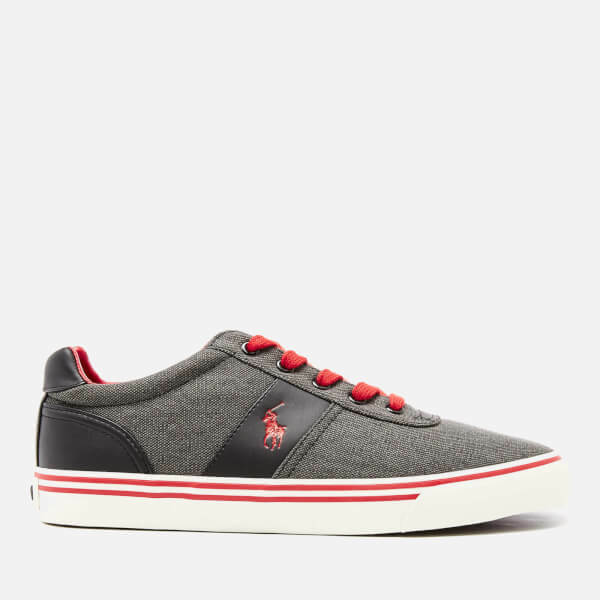 Fastened with a lace closure, the round toe trainers feature a black leather side stripe with the iconic embroidered pony logo and black leather details to the heel. 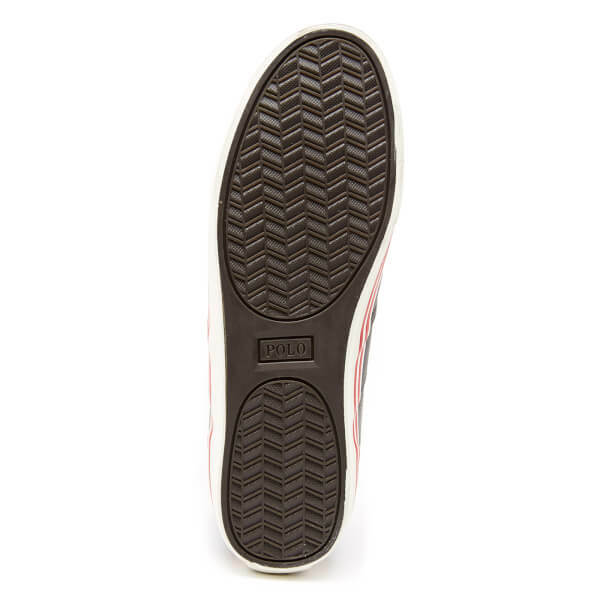 Set on a white vulcanised rubber sole, the trainers are detailed with red midsole stripes, a textured rubber outsole for added grip and a ‘Polo’ licence plate on the heel. 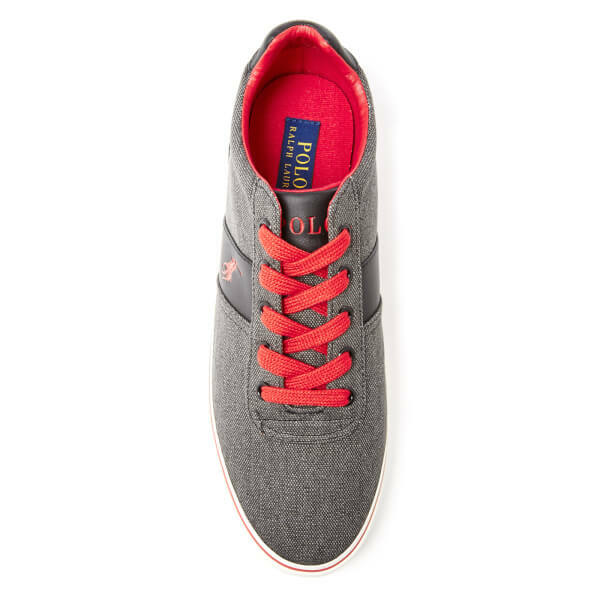 Complete with a padded leather ankle collar and a padded insole for comfort. 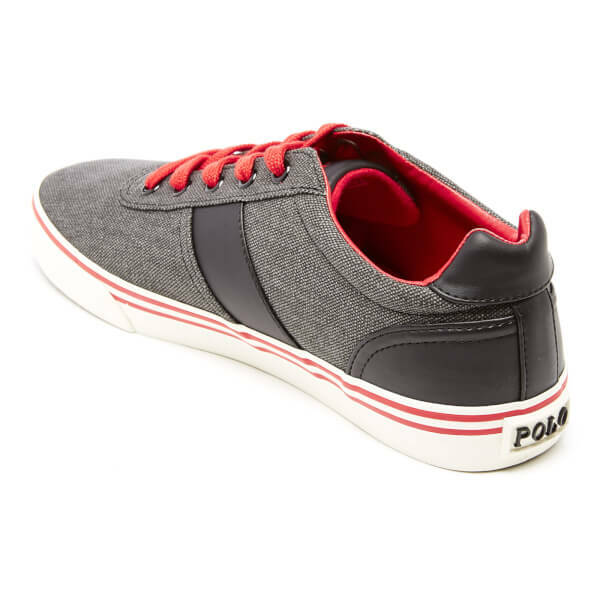 Upper: Cotton Canvas/Leather. Sole: Rubber.